Exfoliates and purifies for clear, problem-free skin. Specially formulated to give you clear, problem-free skin, Himalaya Herbals Purifying Neem Scrub works with a dual exfoliation and purifying action. Neem, well-known for its purifying and antibacterial properties, kills problem-causing bacteria. Combined with exfoliating Apricot granules, it gently scrubs away blackheads, dead skin cells and embedded impurities, leaving your skin soft, clear, refreshed and problem-free. 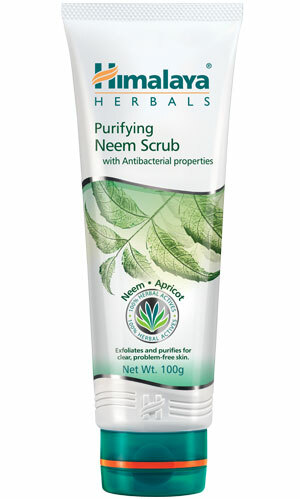 Moisten cleansed face and massage Himalaya Herbals Purifying Neem Scrub all over, avoiding the delicate eye area. Wash off and pat dry. For best results, also use Himalaya Herbals Purifying Neem Face Wash and Himalaya Herbals Purifying Neem Mask.